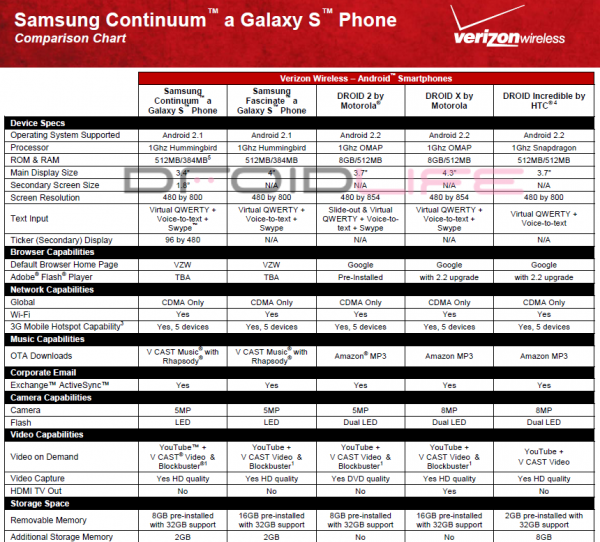 We just posted the “Top Things to Know” for the Samsung Continuum over at Android Life, but we also have this sheet which shows how the device compares to the rest of Verizon’s lineup of top Android phones including the entire Droid family. 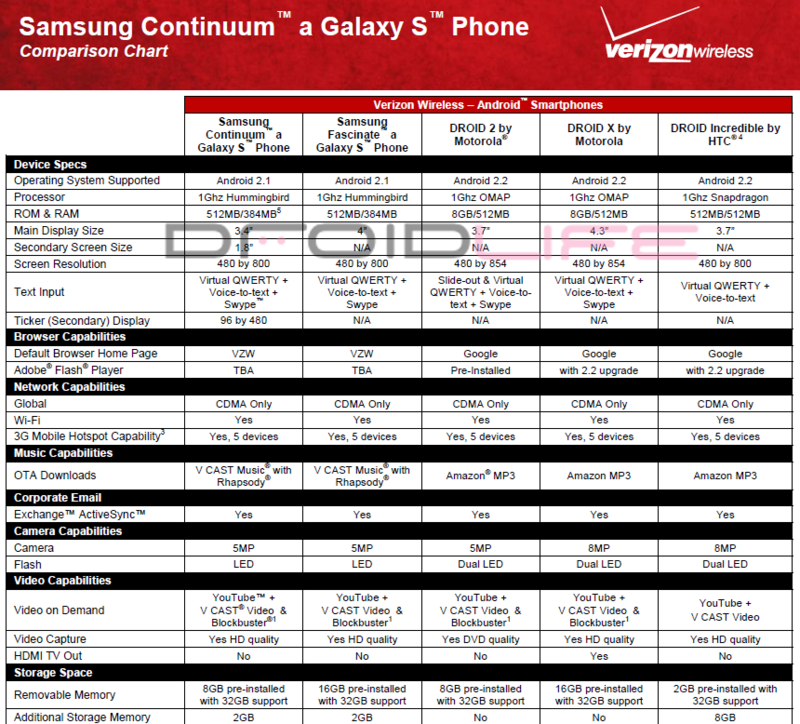 Wondered how its “Ticker” matches up against the Droid X, D2, or Incredible? What about the Fascinate? Here you go. Update: We’ve just posted a comparison sheet to the rest of the Galaxy S lineup over at Android Life.